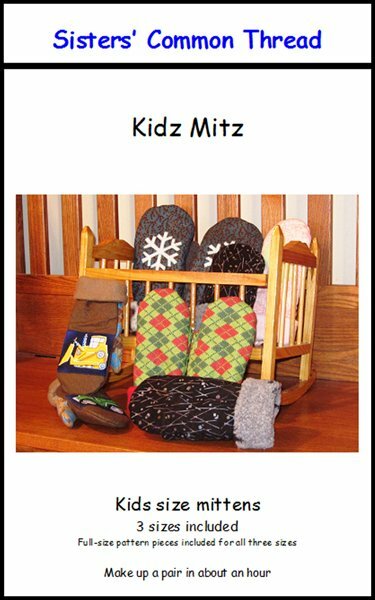 Kidz Mitz Pattern - So many fell in love with our Toastie Mittens - - - and then the first question was "Do these come in a kids size?" Well, yes, now they do. The Kidz Mitz have three youth sizes and includes full size pattern pieces. Same terrific fit as our original Toastie Mittens.